Norwegian Etymological Dictionary – a 5.5 Pounds Book Success! 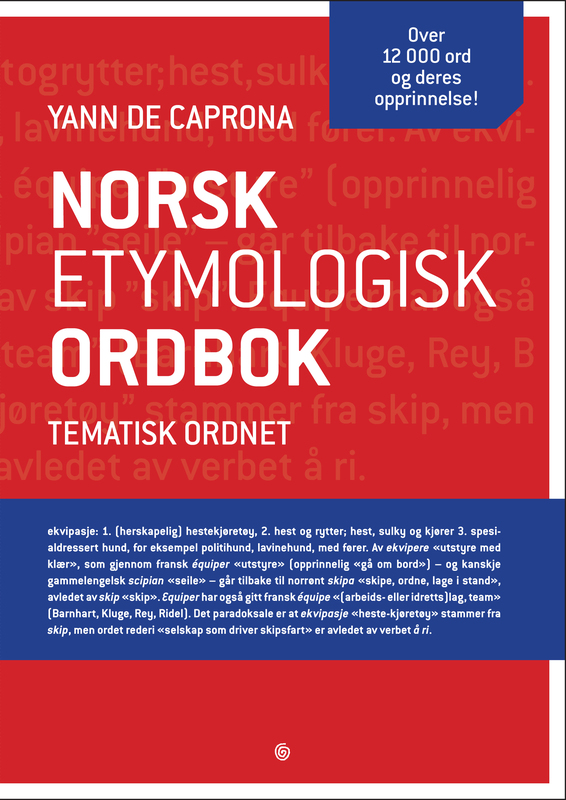 Home › Culture › Norwegian Etymological Dictionary – a 5.5 Pounds Book Success! Yann Denys Anne Crapon De Caprona is an atypical Norwegian name. After further research, I learned that this man was born into an international family, and thus developed a genuine interest in language. Such an interest must become a book. – My mother is Swedish, and my father is French-American. Together they spoke mostly English. I attended a French school in Rome, and I studied Spanish and Latin. Later, I learned German and Modern Greek to broaden my horizon, says Yann de Caprona in an interview with NRK. At 27, he moved to Norway, and has lived there ever since. In that sense, perhaps it is natural that he writes the first Norwegian etymological dictionary? – I have been interested in etymology since I was a kid, but it escalated when I worked in the Red Cross spending my days using unpleasant words like killed, tortured, raped, AIDS and diarrhea. To get something nicer to think about, I searched for the origin of place names in Africa – and found for example that Eritrea means “The land by the Red Sea”, he explains. The Norwegian word for red (rød) derives from the Greek word erithros (red). 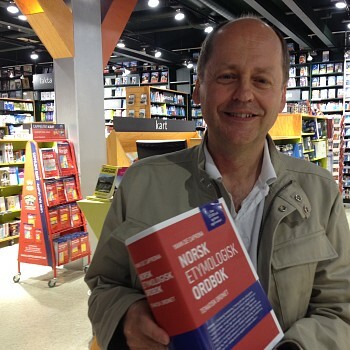 In 2013, after seven years of hard work, he published the first Norwegian Etymological Dictionary, a thematically arranged encyclopedia with 12,000 entries and 1,920 pages. The book was hailed by language enthusiasts, and awarded the 2013 Brage Prize in the category non-fiction. De Caprona is what the Norwegians call a glottoman (derived from Greek, glossa “tongue” ( glossopharyngeal), “speech” ( glossolalia), “gloss” ( glossographer)), meaning a language fanatic. – There is no “common Norwegian” such as the Queen’s English. 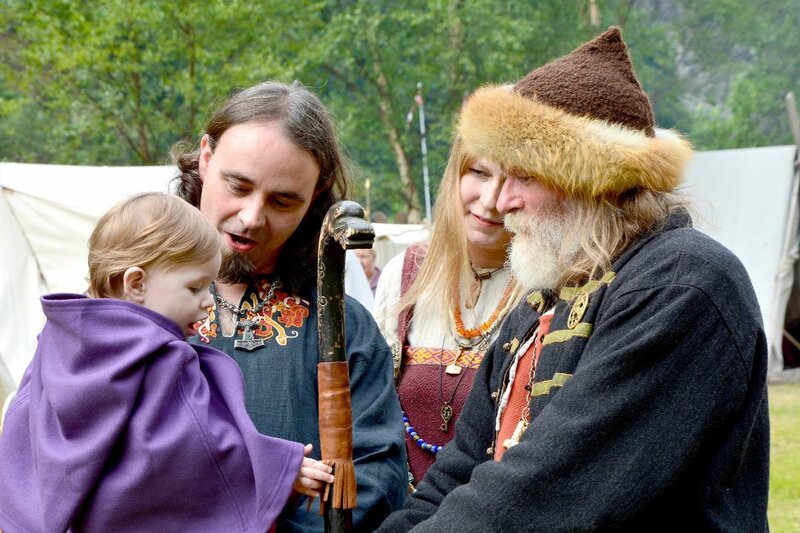 This means that people are curious about how others are using the language, and which words can be found in the various dialects, he explains. He himself was seduced by language and etymology in his adolescence. – When I was 14-15 years old and began studying Latin, I became interested in finding out where words come from and the relationship between different languages. I read about Mahatma Gandhi, and wondered if the term maharaja, which means great king, could have affinities to Latin. And it did: In Sanskrit, maha means great, and in Latin magnus. Raja is related to the Latin rex, meaning king. So I thought that Mahatma, meaning great soul, was also closely related to Latin. Maha and magnus are related, but atma was not related to Latin anima (soul) as I thought, but with the German atem, meaning spiritual. So etymology is not as easy as one might think, says an enthusiastic Yann De Caprona. Words are fun! And here is a book (…) about the origin of not less than 12,000 words. It is a candy store for language nerds. Etymology is the study of the origin of words. It took Yann De Caprona seven years to write this piece of work. He is neither a philologist nor linguist by education. My goodness, what a feat! The book reveals surprising affinities between words which on the surface are distant from each other, including many fun facts about the origin of words. For example, who would know that the word croissant, which in French means crescent, origins from an Austrian pastry? The story goes back to the 18th century and tells that Vienna defeated Turkish aggressors. They took the word from the half moon (crescent) on the Turkish flag. In conclusion: Norwegians love to ‘chew’ on words, almost as if they were pastry.